It seems like 2016 will be a good year for the Frozen Food sector. For starters, 2015 showed a 2,3% rise, a higher rate than the average in FMCG, which was 1,8%. These are signs of recovery indeed for a product category that pools 6% of the total food expenditure. According to a report published by the Frozen Food Platform (an initiative of the Manufacturing and Distributors Asociation AECOC), in collaboration with Kantar Worldpanel, the market research consultant, the frozen products category racked up a total of 151 launches in 2015 and managed 6% of the total food expenditure. This report states that frozen products are present in one in every five shopping baskets nationwide. By product type, fish and seafood lead this rank, accruing 75% of the total market growth in 2015. By consumer profile, adult families with kids is the target that buys this type of product the most, making up 46% of the buyers in this category. It is followed by adults with no kids (25,4%) and independent youths (17,2%). We also learn in this report by Kantar Worldpanel that the sector is trying to respond to a more optimistic consumer that demands, and increasingly more so, healthy products, conveniently and with quality. Which brings us to Eurofrits cornerstones: a decisive effort to provide quality and an airtight commitment with our customer satisfaction. 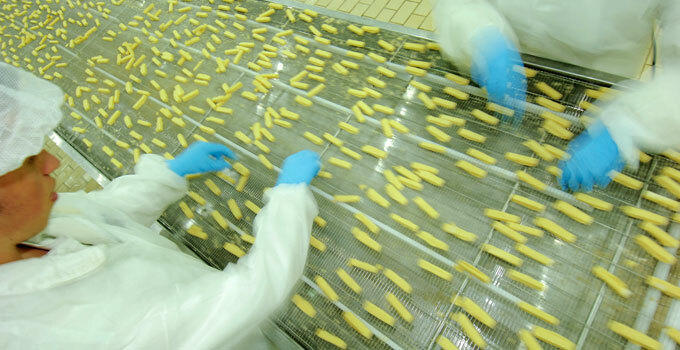 In order to do that we notch up a wide variety of frozen food products custom-made to fit our clients needs. This, in turn, would not be possible without innovation and our constant improvement of processes. For more info regarding AECOC, click here.